Carmen Trinice, a 25-year-old woman from Atlanta, gave birth to a baby that weighed more than 11 pounds. Her big boy became a viral sensation, as women from all over the country praise Carmen for carrying such a huge baby on her belly. The boy, who was named Dwayne Michael Canada, was born on July 27 and is Trinice’s seventh child. 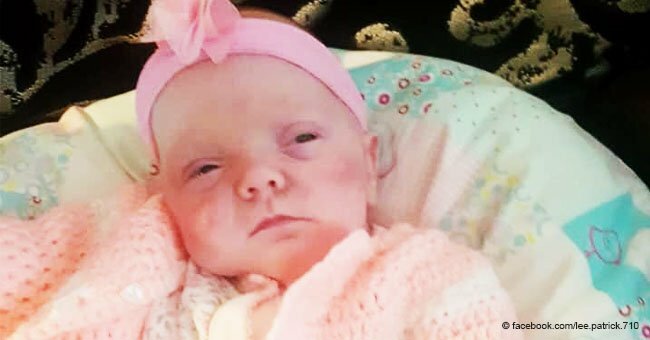 As reported by Unilad, the boy weighed 11lbs and 5oz, which is a considerable weight for a newborn baby. The average baby weight is around seven pounds. On her 36 weeks into pregnancy, Trinice decided to get an ultrasound because her belly was “way too big” and she suspected there was something unusual with her baby. The doctors confirmed that the boy was already weighing 8 pounds and that he would keep on growing until the end of the pregnancy. For the mom, the extra weight made unbearable to do the most simple tasks, as she would get tired immediately. Trinice revealed that she ate a lot while being pregnant and that everyone in the family was always taking care of her and her needs. She ate bacon hamburgers every other day and craved a lot of meat. There was also a big craving for Golden Oreos, but only in the middle of the night. Even though baby Dwayne is the biggest of Carmen’s kids at birth, he was not the first baby she brought into the world weighing more than the average. Six years ago, one of her daughters was born at 8lbs 7 oz, a bit more on the heavy side but not as much as her baby brother. “It burned like a fire was lit in my stomach, and I felt him being pulled out. He came out 11lbs 5oz exactly, and weighed in 11.01 when we left the hospital,” Trinice said. Dwayne is so big that he requires a lot of milk, so Carmen decided not to breastfeed the baby, because it can be “time-consuming.” He started drinking 10 ml, and a few days later he was already drinking 3 oz every two and a half to three hours. Carmen revealed that she was surprised by the big response that Dwayne had over social media after a friend of hers posted a photo of the “big chunky boy” as she called him. 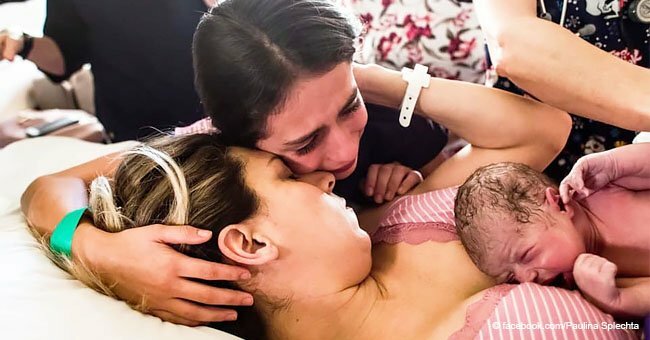 She wasn’t expecting all the messages from curious moms asking what was her died through the pregnancy and even how was she dealing with the extra baby weight after having the baby. 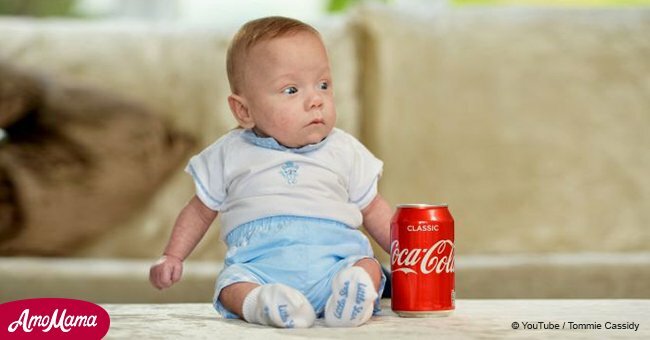 Meanwhile, on the other side of the pound, a baby was born weighing the same as a can of soda in Newcastle, and although doctors didn’t have hopes for him, the boy fought against all the odds and is now a 7-months-old gorgeous baby. Theo Taylor was born weighing 12oz at 26 weeks and five days. 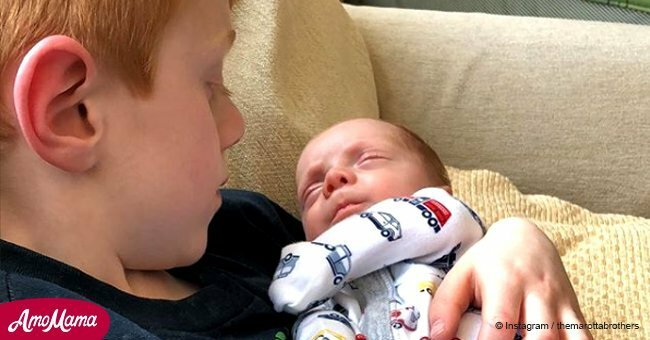 He came to the world through an emergency c-section, a day after his mom was offered a termination because of his small size. But they refused. 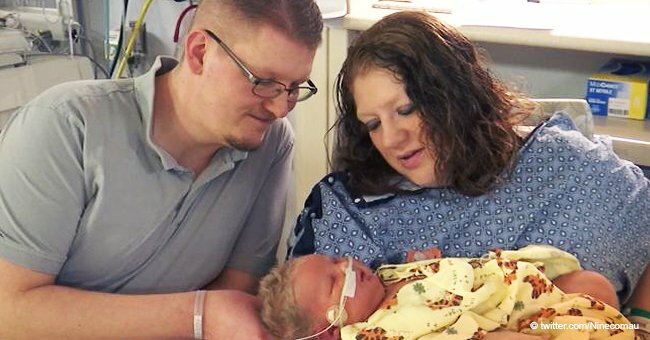 After being born, Theo was connected to an artificial respirator, and doctors told parents Katie and Jay Rhode that the baby might not make it home. Seven weeks later, Theo was moved to a lower dependency ward at Royal Victoria Infirmary in Newcastle. He was finally released from the hospital in July, weighing 7lbs 4oz.